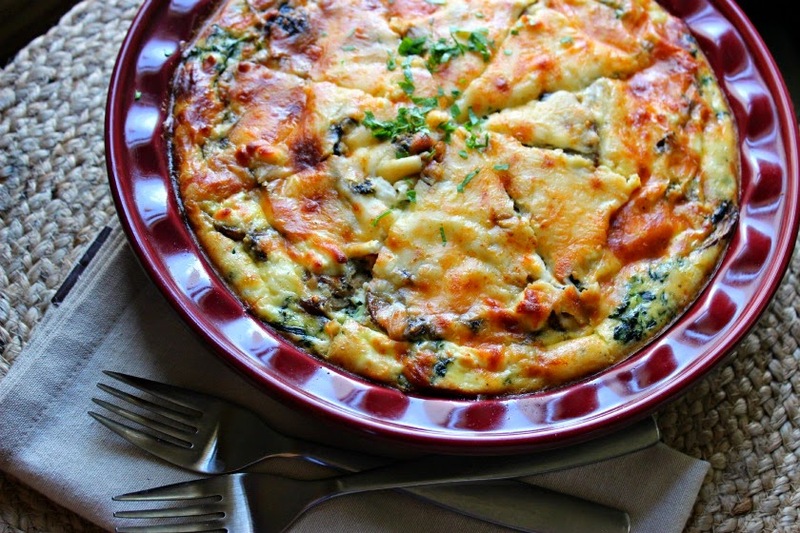 Spinach & Mushroom Crustless Quiche + Flavor Bombs Giveaway! Love to cook, hate to prep, or just don't have time? Chef Giovannina Bellino has created the perfect solution! FLAVOR BOMBS! 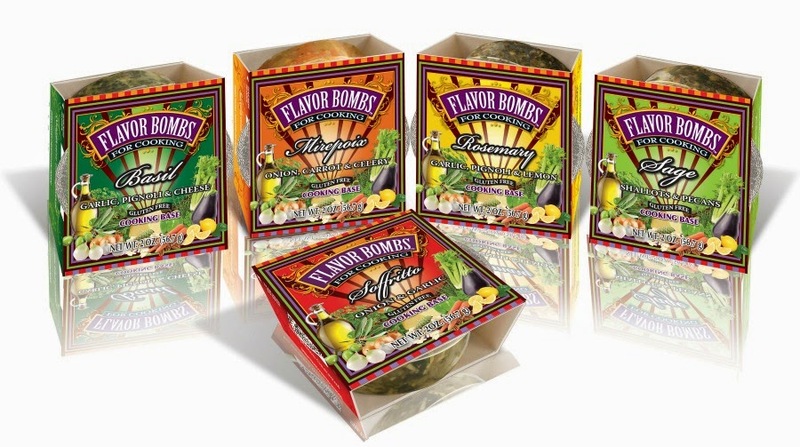 Flavor Bombs are an all natural, fresh frozen cooking base to start or finish a dish. They can be used in sauces, stews and soups, in meatballs or meatloaf, as a marinade or even as an herb dip. This is the next best thing to sliced bread! I chose to try the Soffritto Flavor Bomb which contains onions, Extra Virgin Olive Oil, garlic, basil, parsley an salt and pepper to make this delicious Spinach & Mushroom Crustless Quiche. All I had to do was thaw the spinach! Flavor Bombs come in five exciting and delicious flavors that enhance the flavor and cooking experience of everyday dishes! Visit FLAVOR BOMBS for photos, recipes and video instructions! 8 oz. fresh mushrooms, sliced 1 package Soffrito Flavor Bombs, thawed or frozen 1 (10-oz.) 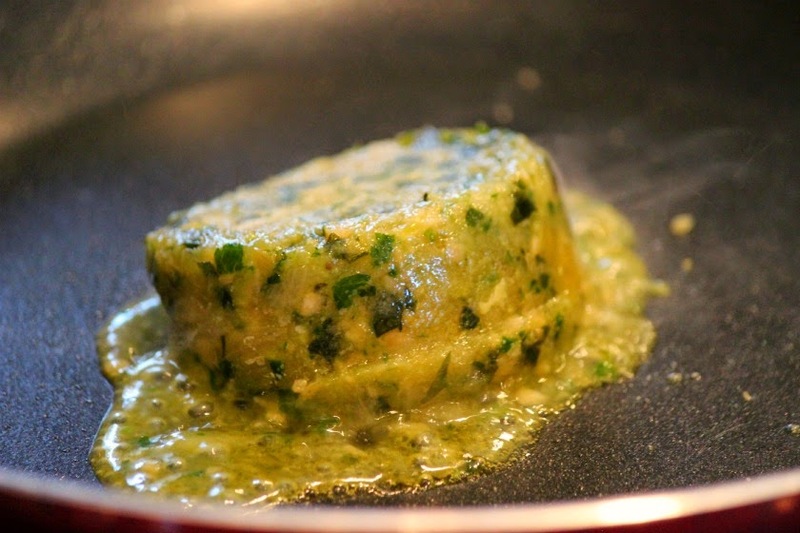 box frozen chopped spinach, thawed 4 large eggs 1 cup milk 2 oz. crumbled Feta cheese 1/4 cup grated Parmesan cheese 1/2 cup shredded mozzarella cheese Salt and freshly ground pepper to taste. Preheat oven to 350 degrees F. Thaw and drain spinach. In a medium saute pan, pop Soffrito Flavor Bomb out and add to pan. Let melt over medium low heat. 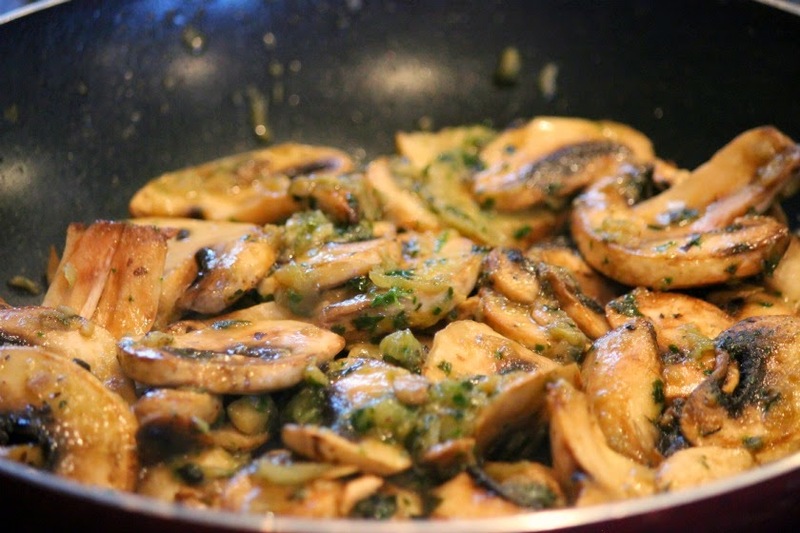 Place the sliced mushrooms in the pan and increase heat to medium-high. Saute the mushrooms until they release all of their moisture, about 5-7 minutes. Spray a pie dish with non-stick spray. Spread the spinach onto the bottom of the pie dish. 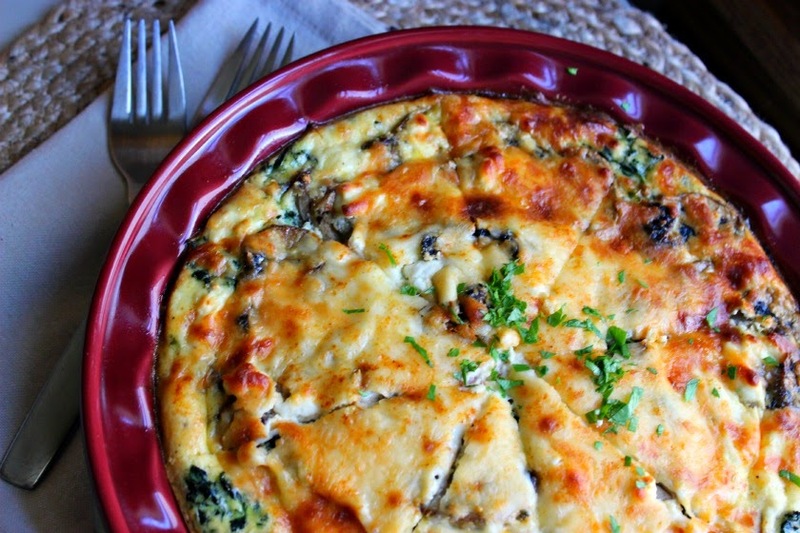 Top with sauteed mushrooms and feta cheese. In a medium bowl, whisk together the eggs until fairly smooth. Add the milk, parmesan and a dash of salt and pepper. Whisk to combine. Pour mixture into the pie dish over the spinach, mushroom and feta. Sprinkle with shredded mozzarella and a sprinkling of paprika for color (optional). Bake until puffed and golden brown and the center is solid, 40-45 minutes. Slice and serve warm or at room temperature. Enter below to get your own FLAVOR BOMBS! You won't be disappointed! Love the Flavor Bombs! Incredible cooking tool!